Big Horn Steel Buildings provides the quality and experience of industry leaders, with the personal attention and dedication of an owner-operated business. Our management team is involved in every project and on site for each project. The professional experience and expertise show in every commercial, recreational and residential project we have the pleasure of contracting – our clients get the knowledge and service that count! Each building is custom designed from the ground up, utilizing the Tekla BIM software to create a digital prototype that incorporates all aspects of a building from framing to components, such as electrical, plumbing, and HVAC. We stand by our products in all phases of production and construction, from concept to completion, and our technical field staff is available on-site to offer unbeatable service when you need them. Once you receive a quote, this competitive price is locked in with our price protection commitment, regardless of subsequent market fluctuations. What you build with matters. Who you build with matters even more. Since 2003, we have helped more than 4500 customers realize their building dreams. From local community projects to multinational developments, we deliver unmatched expertise in design, engineering, fabrication and project management. We do this with the highest quality standards of building and customer service. Steel is sustainable, cost effective and extremely durable. Steel structures meet the aesthetic and technical requirements of building codes. Big Horn customers receive our ready-to-assemble pre-engineered steel structures designed to their specifications, within budget, and on schedule… directly to their jobsite. In the end, our success is only measured by each customer’s building project success. 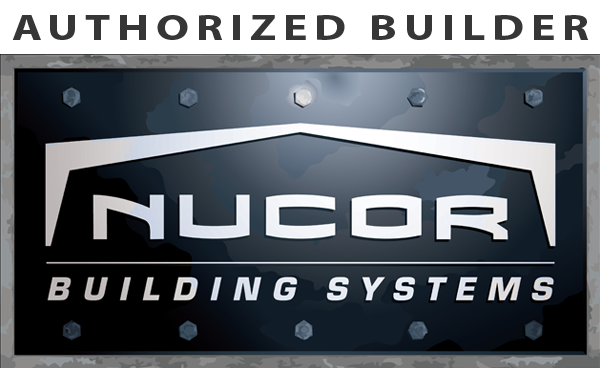 Big Horn Steel Buildings is an Authorized Nucor dealer. As a custom metal building manufacturer, Nucor produces a wide array of structural systems including clearspan rigid frame, modular rigid frame, tapered beam and lean-to. All are available in standard or long span options. Your Nucor metal building can be designed to virtually any desired dimension to achieve the optimal design solution for your building requirements. Please see our frame types for many of our framing options. On average, pre-engineered steel buiding systems cost up to 30% less than conventional construction. Our steel buildings contain over 87% recycled steel and is 100% recyclable. Each building is custom designed using the latest in design technology to meet your unique needs. Industrial and commercial, to custom buildings for the agricultural, community, and retail industies. Framework is simple to remove for easy additions to existing metal buildings. Some firms are able to design a beautiful building, but bid it out to be built. Others may be able to design and build it, but bring in subcontractors to handle the structure and leave punch list items and maintenance to yet another team. 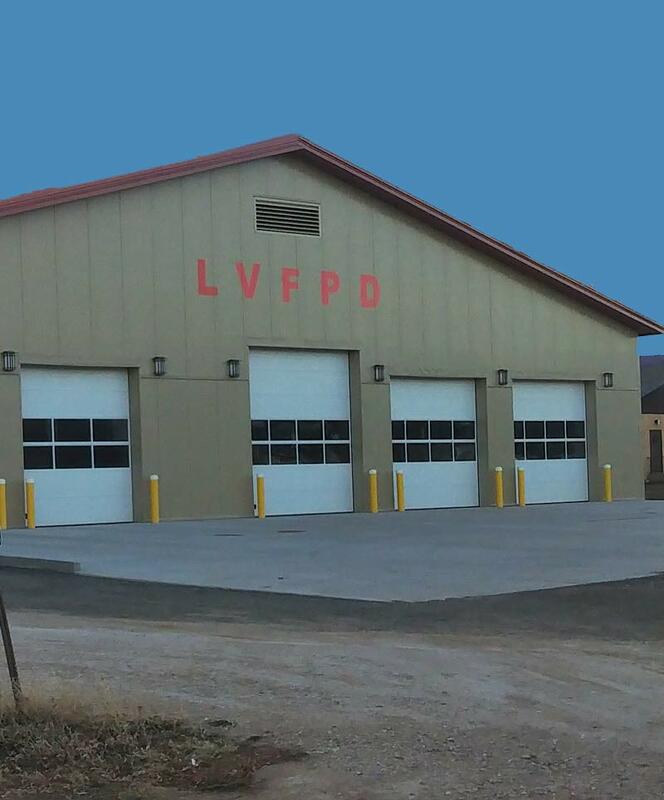 Only Bighorn Steel Buildings is a true full-service firm, offering design/architecture, construction—including ground work, foundation, and finished itmes of your new building. Crafted with American pride & American quality. 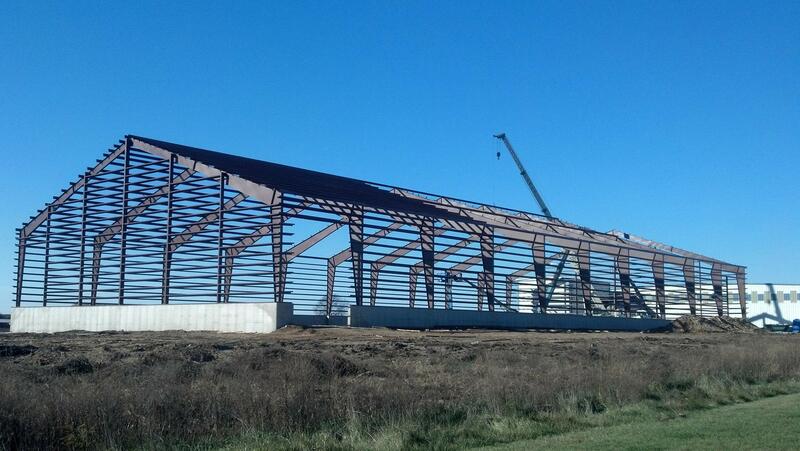 Building a steel building with Big Horn Steel is a different experience than you’ll find working with any other firm. Let us show you what the ideal steel building experience should be. A custom building is the structure of your dreams! With our help, you design and build the building you want, not what someone else wants and without compromise. We allow our clients to be just as involved as they would like in the selections process. You can select everything, from building shape to color. We offer our clients the world of choices as to design/cost alternatives as well as ranges of grades and materials. 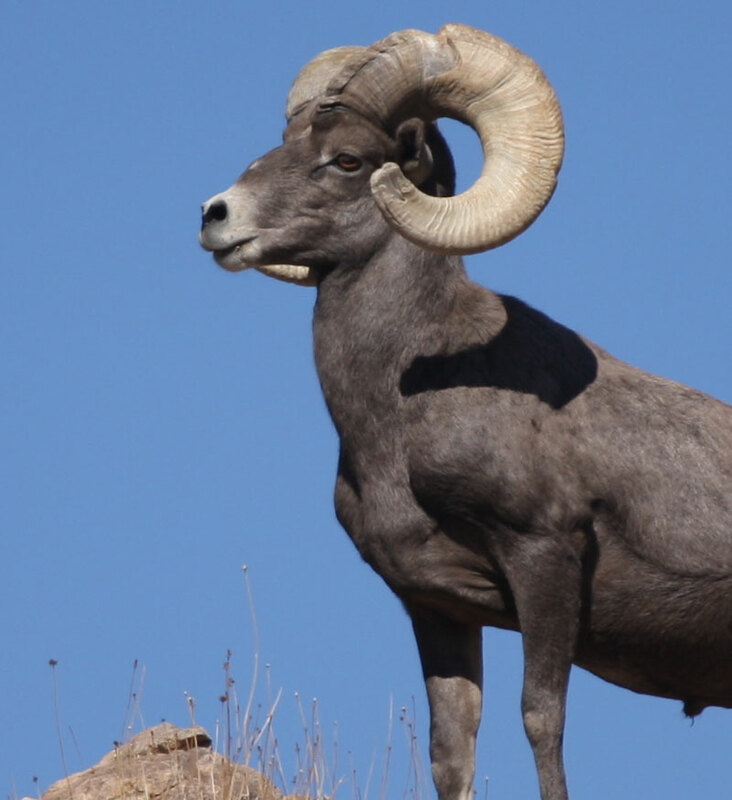 They can also choose to save time and rely with complete confidence on Big Horn Steel Building's established, high-quality product standards/specifications. Selections are also available for them to view on their computer, any day, any time, any place. How does the weather effect the building process? We build 12 months a year. With today’s technology, building can begin during any season. Even in January and February when the weather drops to freezing temperatures, there are several windows of opportunity when foundations can be poured without any difficulty. Concrete walkways and driveways and masonry work cannot be done during extreme cold, but these can easily be deferred without any effect on the overall schedule. Our team is here to work around your schedule and make sure that your desired timeline is implemented to the best of our ability. What is your on-time record? We have a 95% on-time record at Bighorn Steel Buildings. We pride ourselves on consistently bringing our jobs in on-time. This directly translates into money savings – TIME IS MONEY, less aggravation, and a more satisfying experience for you.